AT&T is the next major carrier in the United States to roll out Android 8.0 Oreo to the LG V30. Sprint and Verizon have already done that earlier this month, so it makes sense for AT&T to want to provide its customers with the same update as quickly as possible. Along with Android 8.0 Oreo, the update includes the March security update, just like Sprint's version. Since Verizon deployed the update much earlier this month, it included the February patch. Besides that, LG included other security updates such as Meltdown and Spectre mitigation patches. 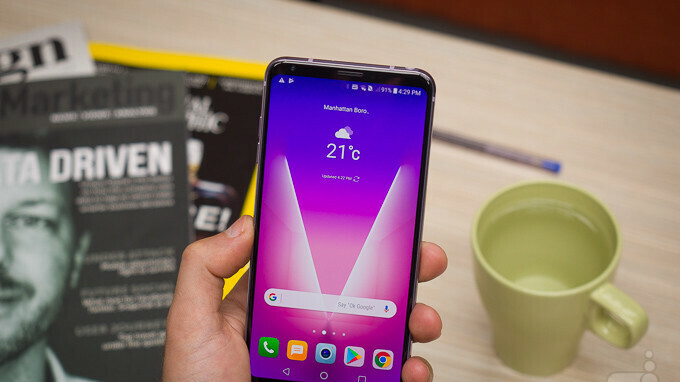 In any case, if you're using AT&T's LG V30, then you should know the update weighs in at 1.8GB, so make sure you have enough free storage on your phone. Now that AT&T is updating its LG V30 to Android 8.0 Oreo, T-Mobile remains the last major US carrier that has yet to release it. Hopefully, those who decided to go for T-Mobile's LG V30 will receive the same treatment sooner rather than later. One reason I switched to T-mobile was because Verizon was sooo slow with updates. Now T-Mobile is the slowest. This is not the first time T-mobile has done this to me. But for the price and flexibility (and international roaming) that comes with having T-Mobile, I guess I just have to deal this reality.